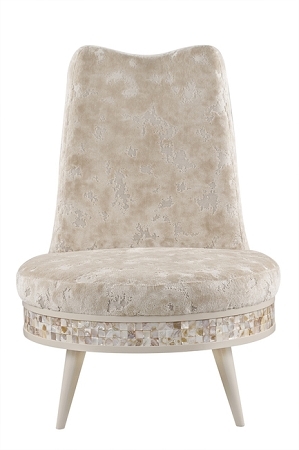 Create a cozy corner anywhere in your home: in your dining room, lavish foyer entrance, wide hallway/alcove, living room, family room, bedroom, home office/study/library or conservatory/music room; these soft cream colors adorn jeweled with natural "nacre" - mother of pearl can blend with many existing furniture you already have. 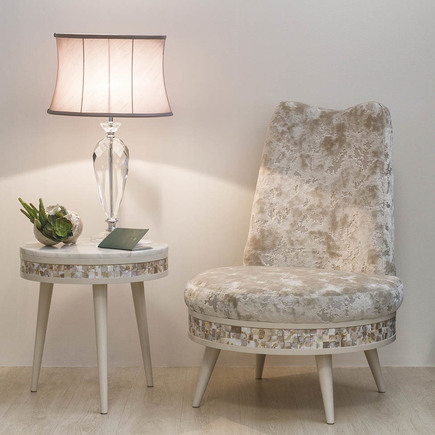 We curated a set of two armchairs and a matching side table to share. 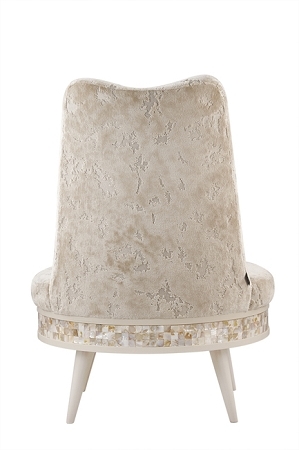 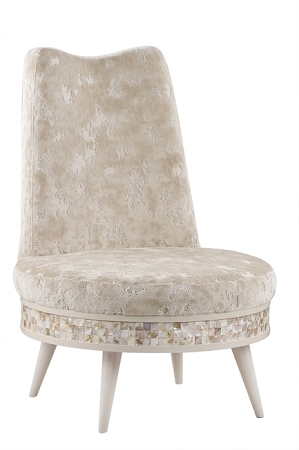 Wooden chair upholstered in cream velvet with pattern. 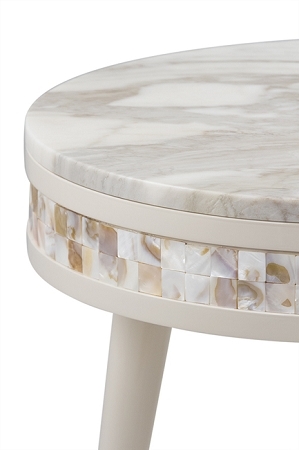 Base and legs lacquered in high-gloss cream. 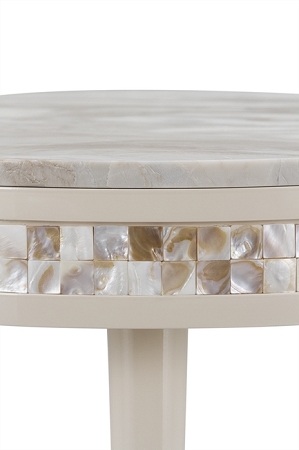 Base with nacre applied by hand. 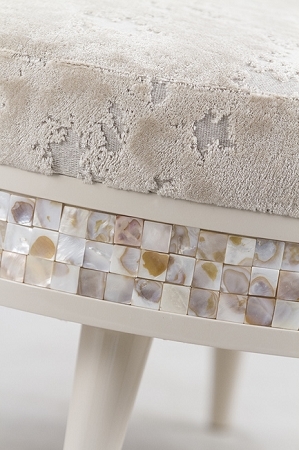 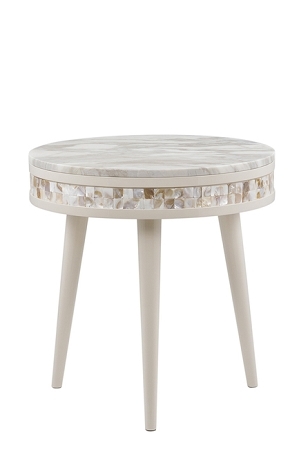 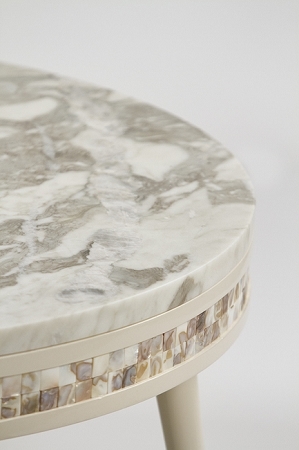 Wooden side table with top in Portuguese Calacatta marble and detail in nacre applied by hand.